Future Link Consultants, a veteran in the field of study abroad services since last 18 years, is organizing World Education Expo on 23rd February 2019 at Grand Mercure (Surya Palace), Vadodara, Gujarat, India from 10:00 AM to 5:00 PM! This Mega Event would help students interact with representatives of universities and colleges from all around the globe! 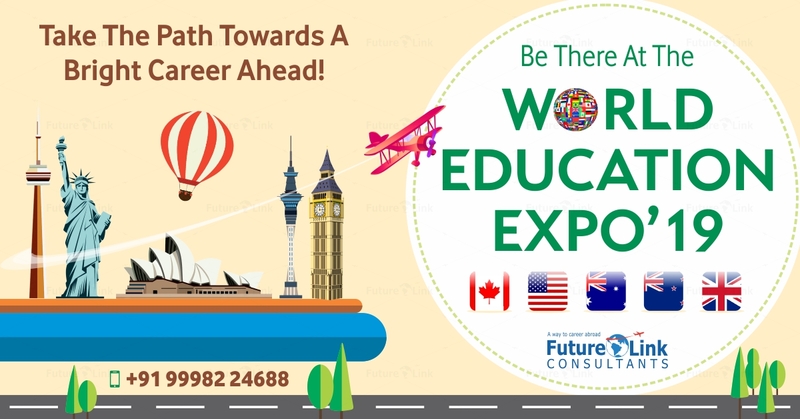 Call on +91 9998224688 or visit http://futurelinkconsultants.com/world-education-expo/ to know more.